Home » Gibbons » humidification » humidification systems » humidity » print industry » printing press » Why is humidity important in the printing industry? 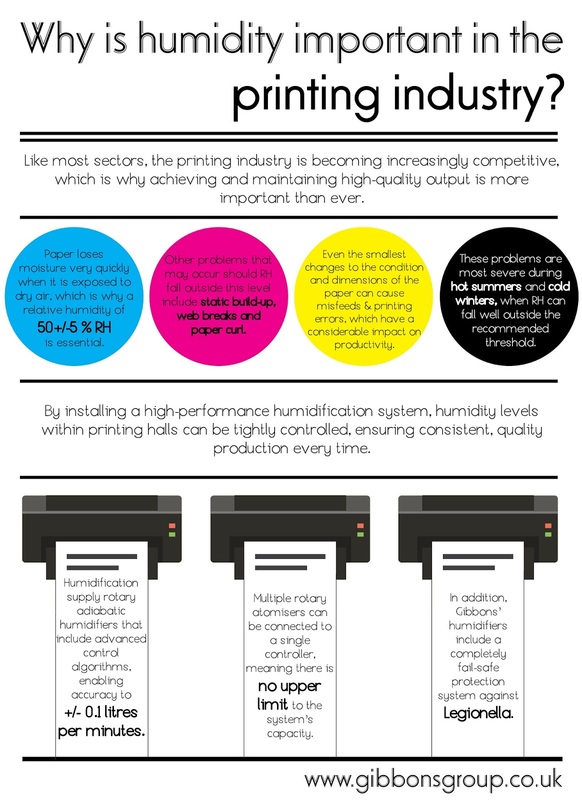 Why is humidity important in the printing industry? We’ve delivered humidification projects for some of the world’s leading names in technology and manufacturing and high-profile buildings such as London’s Barbican Centre, so you’re in safe hands with our expert engineers. To find out more about Gibbons humidification systems, call Steve Rix on 07966 423165 or email steve@gibbonsgroup.co.uk.